The RAUH-Welt Begriff 993 Body Kit is the widest, most aggressive of them all. All RWB cars come with the choice of two wheels options (SSR and Work). The wheels measure 18×10.5J (Front) and 18x12J (Rear). Nakai-san will usually fit additional wheel spacers on the car following the installation of the kit. 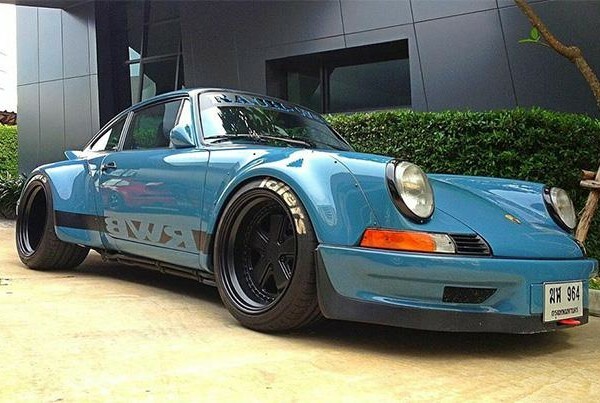 The RWB 964 body kit is an evolution of the 930 RWB kit featuring the same aggressive fender flares and wing. This variant receives different front and rear bumper styles to complement the rest of the car. The RWB 964 Wide Body kit is available in both a standard street spec as well as a race spec that features a lower front lip. This wide body kit for the Porsche 911 (930) is what started it all. 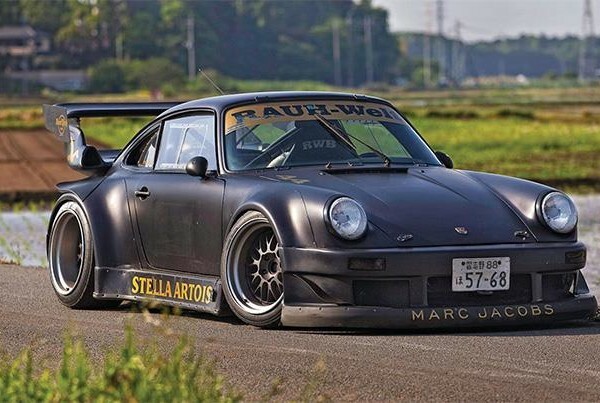 The legendary “Stella” car owned by Nakai-san himself is a RWB 930 Wide Body. Featuring super aggressive fender flares, a giant wing and new front and rear bumpers, this RWB kit will bring out the monster in any 930 Porsche.